Hello everyone. This is going to be a short guide. I’ll probably quit halfway through. This is where I most often see people not using the concede option to its full potential. Climbing up the ladder is a big time investment. In fact, most people fail at getting to legend not because they don’t have the cards or skill, but because they don’t have the time, or get fed up eventually and quit (more on that at the end of the article). This is one of the main reasons why aggro decks are so popular on the ladder (and one of the big factors in the rise of the Face Hunter archetype some expansions ago): they are very time-efficient. You can play 2-3 aggro games in the time you play a Control Warrior game - maybe even more, depending on the matchup. If you build your decks for time efficiency - and if you aim to climb the ladder, that’s not a hard rule, but it will make your life much easier - then you should tune your strategy and play style for time efficiency as well. Hence, there’s an argument to be made that you should concede as soon as you understand that you are in an unwinnable situation. If you are playing a fast deck, and your opponent has blocked you - let’s say, for example, that you’re playing Divine Shield Paladin and have lost the board; you only have 1-health minions in your hand and your darkshire steward are dead; your opponent is a Rogue / Mage / Druid and so can easily ping most of your minions, even if he draws poorly; this is a pretty dire scenario - if you concede, you can likely get a good chunk of a new game going ,and maybe even win it, in the time it would take to finish the current match. 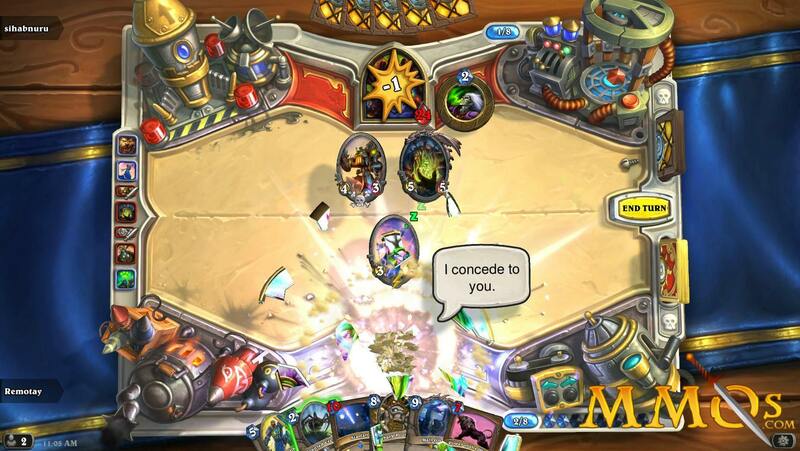 Streaks up to Rank 5 mean Hearthstone is pretty forgiving with conceding games. This is not a game that likes to waste your time, though Ranked may sometimes feel like that. I’m not saying you should concede just because you got a bad hand and your mage opponent dropped a mana wyrm on her first turn - you don't know her hand or your next draws - but with a few evenings of Hearthstone under your belt you should be able to judge correctly whenever you’ve reached an unwinnable position. Don’t let your ego waste your time on a lost battle. Of course, from Rank 5 and up, it gets psychologically harder to quit. This is where most ranked players stall and throwing a match often tastes bitter. Some people even even defend that “if I just hang on, he might disconnect”! Yeah, right. In thousands of Hearthstone games, I’ve had a winning player disconnect on me about, let’s say, five times, tops. If you’re behind on the board, and behind on cards, especially at the high end of the ladder, then you are probably just wasting your time by that point. But by all means, make an informed decision. Go through all the cards remaining in your deck ( you can have that information at hand if you’re using a deck tracker like Hearthstone Deck Tracker ) and ask yourself: “is there any one or two cards that I can draw in the next 2-3 turns that can shift the board?”. If the answer is no, then you are better off conceding and not wasting any more time. 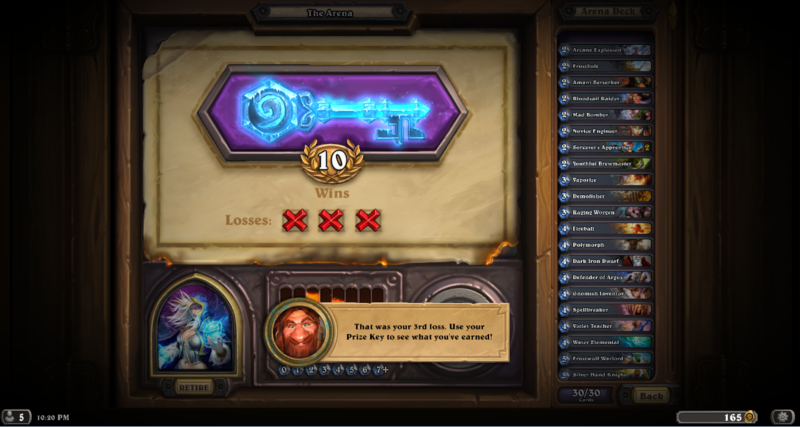 The Arena is much more straightforward than ranked. You can only lose three times, and then you lose your entry fee. So it doesn’t matter how many games you get it - losing in Arena is a much bigger penalty than losing in Ranked. Your time is still precious, though, so if you’re in a disastrous situation - as in, it’s the third turn, your opponent has a half-full board, and all the cards in your hand cost 4 mana or more - you are still better off calling it quits. See more on “Avoiding Tilt” below. As a general rule, though, you have very little to gain by conceding in the Arena, and should avoid it. Ofc, if you see your opponent has lethal on the board for the next turn, and you can’t avoid or thin it out, then yeah, you should concede, but you shouldn’t need a guide to tell you that. It’s nearly impossible to make a good recommendation here, because there are a lot of different brawl rules. There are brawls that are very RNR dependant, such as Crossroads or Mechazod, and in those, there’s not a lot of merit in conceding. Just go with the flow, have fun, and even if your losing, you might draw something that lets you turn the tables and win an epic victory - those can be some very cool Hearthstone moments. On the other hand, some Brawls change the rules in a way that enables certain combos to completely lock down a game. 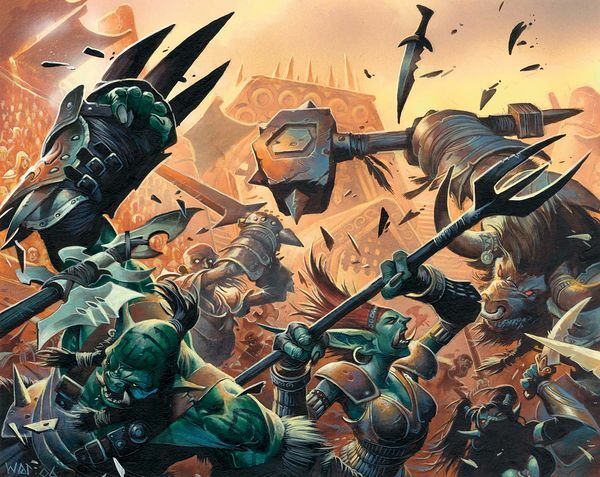 In a recent Brawl, a Druid played a turn-two hogger against me, and the earliest I would be able to play something was turn four. I conceded that game and never looked back. If you do your daily quests as part of your Ranked play efforts, just consider the tips given for Ranked play above. I like to do my daily quests on Casual precisely so I can do it in as little time as possible. I’m ruthless with conceding in this mode - there’s no penalty for losing. So I use Concede is I get a bad hand. And I use Concede if the opponent reaches an obvious advantage that I can’t see a way of side-stepping unless I top deck a miraculous combo. You want to get in, get your gold, and get out. Don’t be stuck playing a losing game. All of the above is debatable if you are really, freshly starting out and still need to learn how a lot of decks, heroes and even cards work. I am putting this section here because I want people to be aware of that point of view. Playing a losing game to the best of your abilities will sometimes provide you with valuable practice and insights that will help you play better next time. It’s easy to Concede out of frustration, but that’s not right nor will it make you a better player. You should only Concede when you are certain that you have no chance at winning - and being able to do that distinction is in itself the mark of player growth. If you’re not sure if you can still turn the game you're away or not, you should probably keep going. 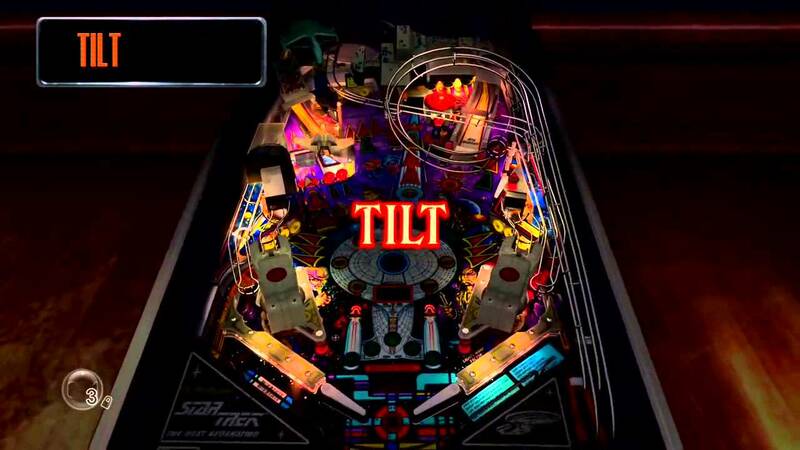 Tilt is what we the Old Ones used to call when a Pinball machine broke after we beat too much on it, trying to swing the ball away from the drain. In modern times, Tilt is used to describe when a player is so emotionally affected by the game that he or she can’t think clearly anymore; hence, mistakes will be made and a bad game situation will get even worse. The player will lose, and will go into the next game already tilted, losing yet again, and it goes on and on until he or she is a mess, screaming at pets and beign generally rude to significant others. This is by far the most useful and important use of Concede. You are playing Hearthstone to have fun, and to become a better player. If you are not achieving this, there is no reason to keep playing. If you catch yourself getting annoyed, sad, or angry, just Concede, close the game, and go do something else. Once you’ve cooled off, you will play much better. Think of your pets and significant others. Use the Concede button. Just a quick pointer before we finish: be a nice person. It’s one thing, and perfectly acceptable, to finish your turn, see your opponent has lethal on the board, and Concede. But conceding when you see him buff his minion up to lethal, or after he fireballs you before attacking? Just to steal from him the pleasure of the win? Come on. You only save seconds of your time. That’s kind of being a bad sport. Losing is not fun, I get it, but how would you like it if the roles were reversed? Let people have their wins, so long as they don’t waste your time. There’s a huge mental barrier around conceding. Our society, as a rule, frowns down on quitting, and conceding is viewed as an extension of that. But a great general will retreat from some battles so he can win others. A great chess master will throw some pieces so he can maneuver unexpectedly. And a good Hearthstone player will know to value his time and maximize his odds by increasing his played game count rather than inflating his ego by sinking with the ship. Conceding is one more tool in your arsenal; know when to deploy it. Do you apply any of the tips above on a regular basis? Please let me know in the comments - along with any suggestions I might have missed.